Old Town Haunt's final year? That's a disaster of epic proportions for Halloween fans in Los Angeles. Fortunately, you have one last chance to enter the catacombs, before the caverns collapse into a pile of rubble, sealing the lost souls within, forever. If you are wise, you will seize this opportunity; otherwise, you will suffer pangs of regret such as you cannot imagine. 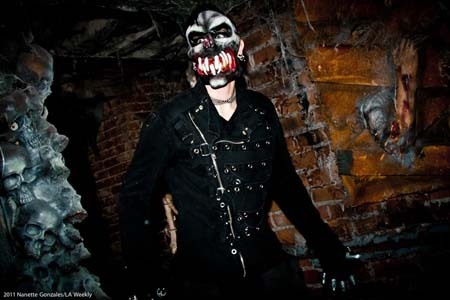 Rather like the Reign of Terror Haunted House in Thousand Oaks, the Old Town Haunt Halloween Attraction in Pasadena has maintained such a high quality for so long that Hollywood Gothique has just about run out of superlatives to lavish on it. What can we add for this year? Basically, two points are worth noting. First, although you will recognize several settings and props from previous years (e.g., the life-size T-Rex head emerging from a break in the wall), the subterranean route (the haunt is set in the basement of an old building) seems reconfigured. Even if you have wandered through this lair many times before, you will not known what to expect around each corner, because the corridors have changed. 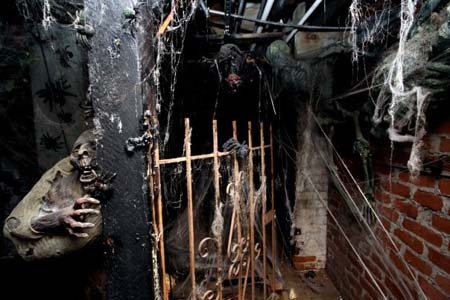 Do you dare enter the depths of Old Town Haunt? The crawlspace has been eliminated, but the pitch-black section is still there (only shorter, we think). There is a section containing clowns (a bit anomalous in this location, but still effective). There also seem to be fewer claustrophobic tunnels and more areas with open space, the path defined by low walls that allow for greater visibility. This also allows more avenues of attack, with monsters popping up from behind obstructions on either side, often simultaneously. 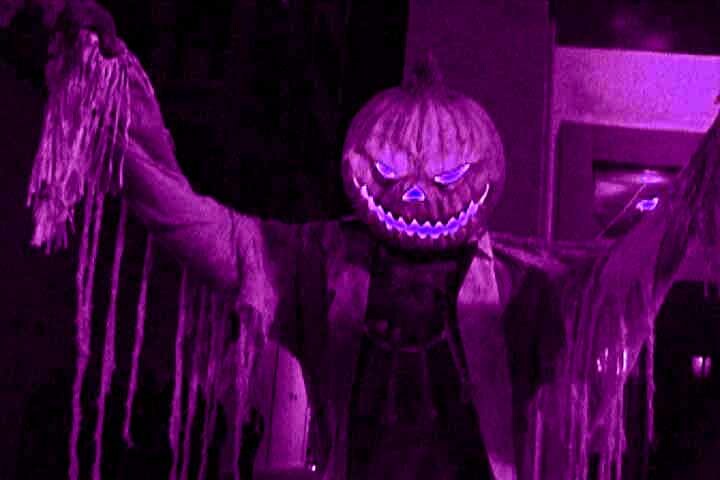 Which brings us to the second point worth noting: Perhaps because this is Old Town Haunt's final Halloween, the damned souls within are eager to inflict their wrath upon the living for one last time. Simply startling you is not enough; they pursue you relentlessly, often from all directions. Sometimes they lurk quietly, unnoticed in the darkness, allowing the leader of a group to pass, then attacking the strays in the rear. Hands grasp over walls and through gates; feathers brush your neck in the darkness; and apparently inanimate corpses suddenly jolt to life when you wander within reach. Last night, we heard a hint that Old Town Haunt might not close forever; perhaps it will reopen in some other location. However, we are not optimistic. Rather than trusting to an uncertain future, we advise avid haunt-chasers to head to Pasadena tonight for what will in all likelihood will be your last chance to descend into the depths of one of Los Angeles's finest Halloween haunts. 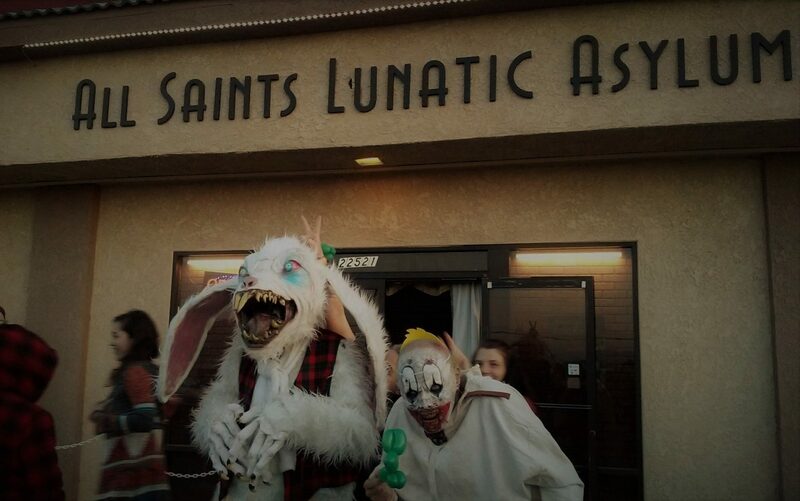 Old Town Haunt is open tonight from 7pm to 10pm. The address is 20 N. Raymond Avenue, Pasadena, CA 91103. Tickets are $15 for General Admission and $20 for VIP (no waiting). Call for 626-248-7652 for more information, or visit their website.